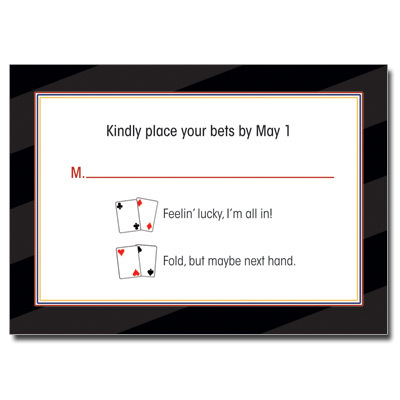 Your guest will love placing their bets and RSVPing to your event on this unique response card. It's the perfect complement to our casino slot machine invitation. Card measures 5 x 3.5.